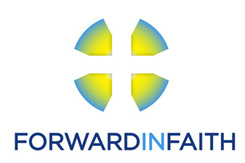 Forward in Faith welcomes the review by the Secretary General of the Archbishops’ Council, William Nye, of ‘lessons learned’ from the various failures in handling the process following the nomination of Bishop Philip North to the See of Sheffield last year. Mr Nye reports that some of what has been learned was put into practice in respect of the recent nominations of women to the Sees of London and Bristol. The lack of significant expressions of opposition to either nomination underlines the continuing commitment to the Five Guiding Principles on the part of those who will be unable, for theological reasons, to receive the new bishops’ ministry. The Five Guiding Principles are foundational to the House of Bishops’ Declaration that was, in turn, an integral part of the 2014 settlement that enabled women to be nominated to episcopal sees. The Declaration makes clear that those who uphold the Church’s traditional teaching in respect of the episcopate continue to be eligible for nomination as diocesan bishops. We welcome Mr Nye’s recognition that ‘following the settlement, not enough was done to educate those in dioceses of [this] possibility’. Like Mr Nye, we look forward to news of the progress of the Implementation and Dialogue Group in carrying out its task of remedying this lack of education about the Five Guiding Principles and the 2014 settlement more generally. We hope that, when the next traditional catholic is nominated to a diocesan see, the fruit of its work will be seen in much more generous responses within and beyond the diocese concerned. The House of Bishops’ Declaration also said, ‘It will be important that senior leadership roles within dioceses continue to be filled by people from across the range of traditions.’ The non-implementation of this commitment over the last four years suggests that educational work might usefully begin within the House of Bishops itself.